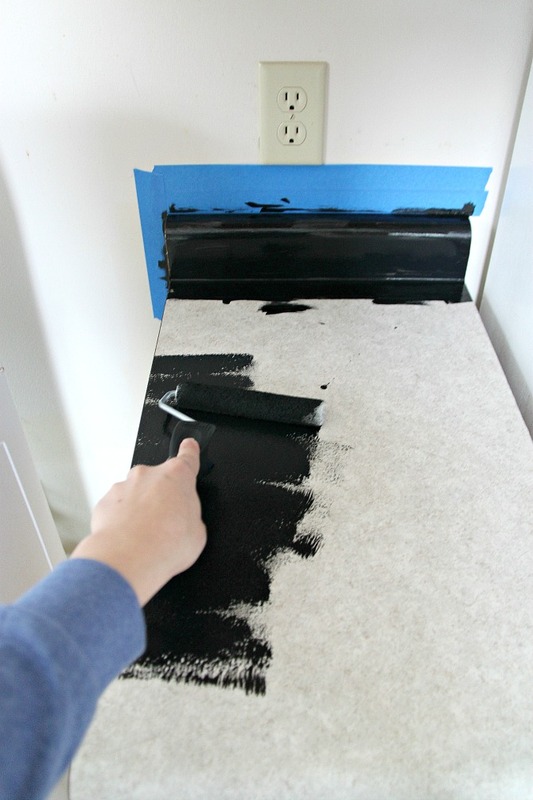 Learn all about painting laminate counters! 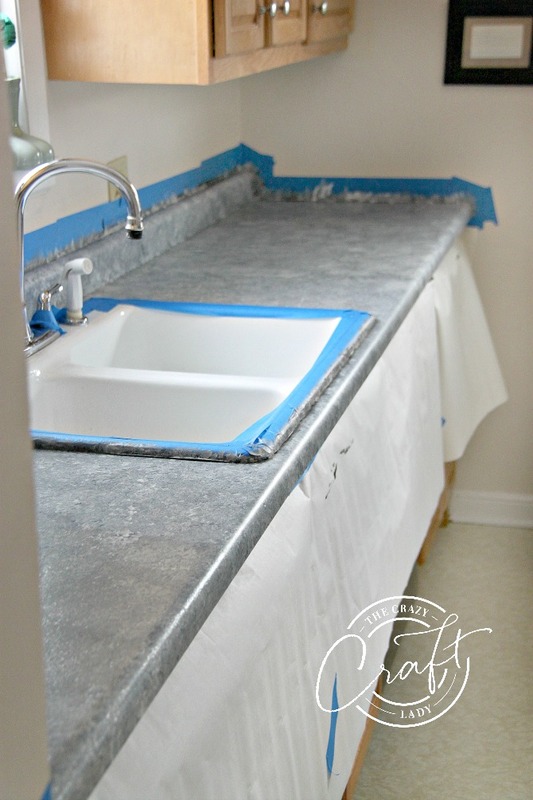 I painted our kitchen counters using a “granite” Giani countertop paint kit. 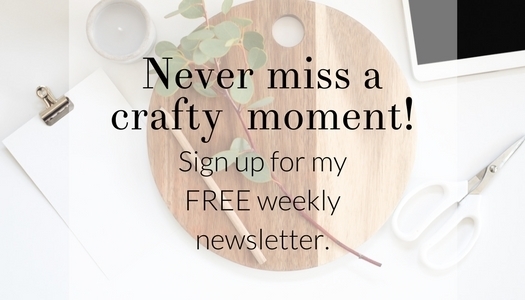 It’s an easy and affordable way to update your kitchen. I painted our kitchen counters! Learn all about this budget-friendly kitchen update. You guys, you guys, YOU GUYS!!! I did it! I took the plunge. I painted our kitchen counters. I can’t tell you how terrifying it was to make that first brush stroke… No going back now! But now that my kitchen is complete, I am SO happy with how this all turned out. If your laminate kitchen counters need a facelift, but new counters aren’t an option, then you NEED to watch this video. 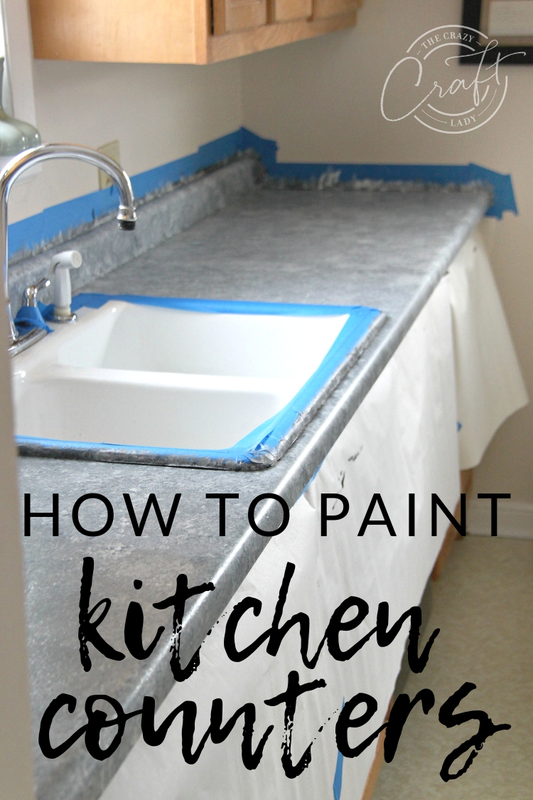 Come see how I completely changed the look of our kitchen counters for under $100. How are the countertops holding up? Great! I painted these counters two months ago (it took me a while to get photos and video together), and everything is holding up really well. No peeling or chipping! Where did you buy the paint kit? 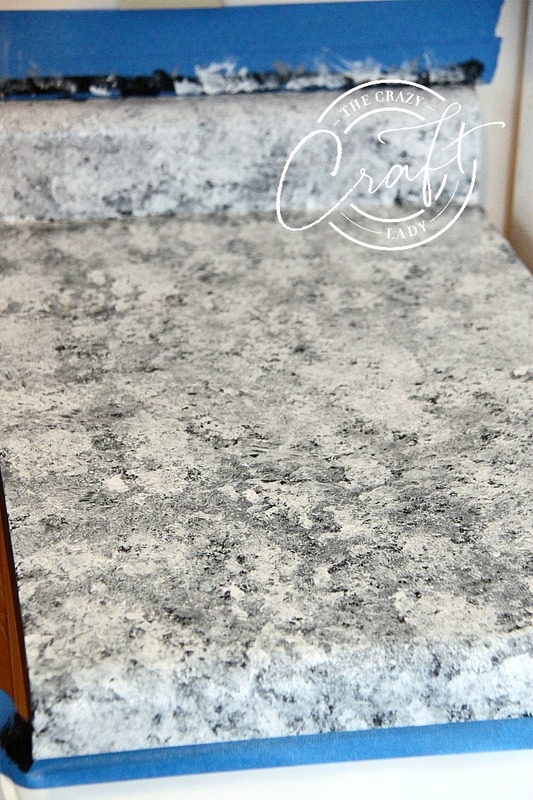 The Exact product name is Giani Countertop Paint Kit in White Diamond. I bought mine on Amazon, but Home Depot also carries these kits. Is there any special care required for these counters? Yes! You have to remember that this is just paint, so I will continue to use cutting boards and pot holders under hot dishes, just like I would with laminate countertops. Also, you will want to read the instructions: using certain cleaning solutions (like bleach) is not recommended. What is your cabinet paint color? It’s Sherwin Williams Patience. The shiplap backsplash is Sherwin Williams Pure White. I started by using a razor blade to remove all of the caulking from around the counters and the kitchen sink. Then, I thoroughly cleaned the counters. You’ll want to be sure to follow the directions, but I scrubbed the counters really well with a scouring pad. I was sure to get in all of the corners, and around the curved edges really well., as well as to make sure all grease was scrubbed off. Then I took a damp cotton cloth, with JUST water, no cleaning solution, and wiped down the counters. After the counters were totally dry, I began taping around all of the edges. I used longer strips of tape along the backsplash area, and then shorter pieces of tape around the curves by the wall. This is definitely a step to take shortcuts on. Take your time, and get perfect edges. Then I added a second row of tape, just to further protect the walls. It’s not in the video, but I also taped paper over my bottom cabinets to protect them from any drips. Now it’s time to paint. The first coat is your primer. I was surprised, because I was expecting white primer. This primer went on as a VERY dark black. Working in 2-foot sections, I used a foam brush to paint the edges and the corner, and then a foam roller for the larger flat areas. Working around the kitchen sink was a bit tricky, but not impossible. I was just very careful to wipe up any mistakes right away. Patience is so important here. After the primer had dried completely, it was time to start sponging on my texture. I poured a little bit of paint onto three paper plates. There was a gray, and two whites. In all honesty, the two shades of white looked identical to me. Working in small 2-foot sections, you layer each shade of paint on top of one another. I started with the gray. Then the white. Then the second white. It’s really important to use a straight up-and-down motion so you don’t get a muddled or streaky texture. I cut smaller pieces of sponge to use in the corners and behind the sink. I sealed everything with the glitter topcoat, which despite it’s claim does not look glittery when applied. It creates a nice hard finish. Overall, I’m extremely pleased with this how this project turned out. Taking into account prep and taping time, as well as dry time between coats, this project can easily be completed in a weekend. You have to remember that this is just paint, so I will continue to use cutting boards and pot holders under hot dishes, just like I would with laminate countertops. If new countertops aren’t in your budget, but you want a new look in your kitchen, this budget-friendly paint kit can’t be beat.